Capt. Jeff Kuss USMC Memorial | Hello world! Heroes like Captain Jeff Kuss represent the very best in United States Aviation. 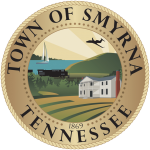 The Town of Smyrna has a long history of military aviation stretching back to World War II with the Sewart Air Force base and continuing today with the Tennessee Air Show. The Blue Angel F/A-18C Hornet similar to the jet flown by Captain Jeff Kuss is on permanent display as part of the Captain Jeff Kuss USMC Memorial.